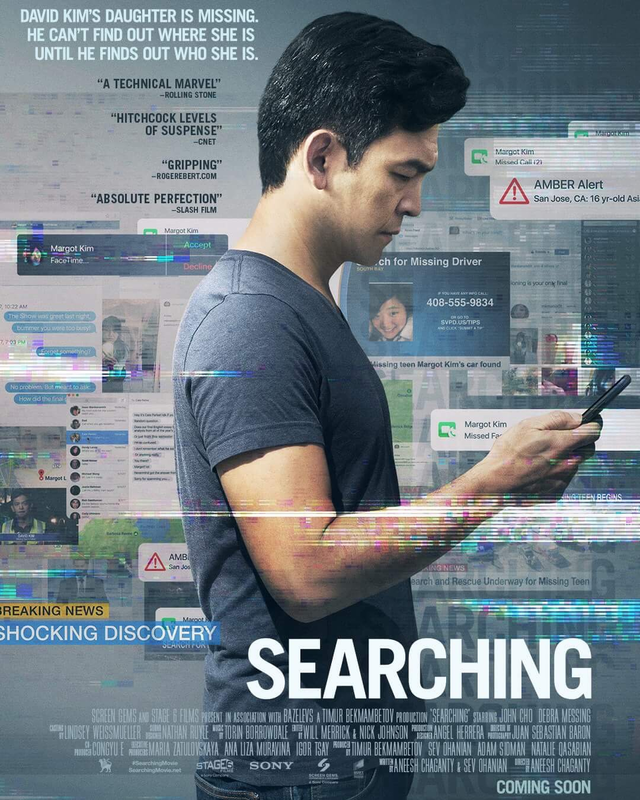 Columbia Pictures has just unveiled the brand new poster for its eagerly anticipated suspense thriller Searching starring Jon Cho (Star Trek film series). Check out the one-sheet art below and watch Searching in Philippine cinemas this September. The acclaimed sensation in this year’s Sundance Film Festival, Searching is directed by Aneesh Chaganty, and also stars Debra Messing, Joseph Lee, Michelle La, and Sara Sohn.